Idle Games, Everything You Need to know! Idle games are everywhere. They are any games that help a player to progress through no interaction with the game. The games play themselves! Idle games can also be referred to as Clicker games, Incremental games or Offline games and we’re going to take a look at why they are so popular with players around the globe. As a game developer you should try to learn what people expect to happen in an idle game and what are the subtleties that drive a player to come back every day, increasing a games retention. What is an idle game? An idle game is a game that progresses with no interaction from the player. Imagine a game that starts by you mining some rock, but after mining a few rocks, the game continues to mine the rock without you actually having to play! Sounds too good to be true right?! An idle game can be played actively, or it can run in the background, or it can reward the player for coming back. In each case the player makes a choice on how to play the game, yet the game is flexible enough to be played in any way. 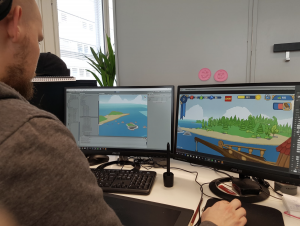 Idle games must allow for some mechanics to occur idly and while a player is not playing, without this mechanic a game cannot be considered an idle game. Idle games do not need a players constant attention, and can therefore be active while a player does other things, and can even be running will a player is sleeping. This type of gameplay can be very rewarding to the player because they feel like they are gaining rewards for their inactivity or lack of activity. Why are idle games so popular? There are many reasons why idle games have become so popular, and there are many types of different players that play these types of games. A sense of accomplishment every time they return to the game. Maxing out the game to the most optimised it can be before closing the game for idle returns. A clear sense of progress in your game. Less physical input from players can be more enjoyable to certain people. Trophies/badges/achievements form a clear sense of achievement. Clear goals in the game, be it a boss battle, or a certain level in the game form checkpoints. The sense of growth that comes as you upgrade is always attactive to players. At the simplest level, people like watching numbers increase. What makes a good idle game? This leads onto the next feature, purchasing. A good idle game must has a way to spend the in game currency and purchase products that the player desires. These products help the player gain more currency on either a click or in the idle state, with a per minute or per hour indicator. A player then cycles through a process of purchasing more and more products that allow them to generate more currency. 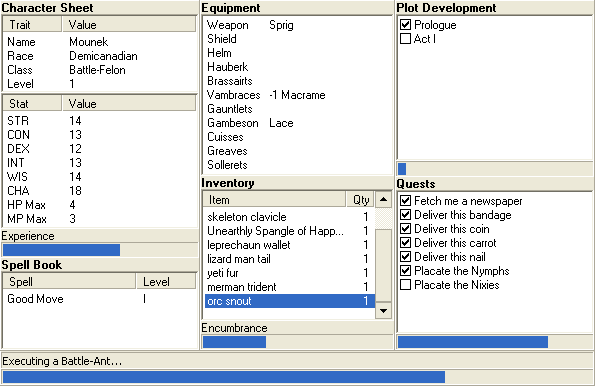 A good idle game must have a number of purchasable items that help generate more currency to allow for the cycle to be created and to continue. Upgrades are one of the most important parts of an Idle game, without these the game would become very linear and would lack depth. This can come in the form of upgrading the click itself, so each click leads to additional currency, or upgrades can be bought for the products which make them more efficient over time. So for example you might have a pickaxe and you purchase a sharpening upgrade which makes the pickaxe twice as effective. Great idle games really have a strong focus on the math of the games and work to keep the balance of the different features. For example if a player does not get enough currency from a click and the game is heavily weighted toward idle mechanics, they may not wish to click. Or if the click is too overpowered then the idle mechanics will feel weak. Keeping the balance between the different features in the game is very important. Making sure that each currency, product, purchase and upgrade all have equal value makes sure that no area of the game will be left out or not used. This game balance is especially important as is allows the player to play how they wish, rather than how the game dictates to them on how to play. Difficulty and complexity within the game is also important. As mentioned before it is important for an idle game to have an easy beginning to the game as this allows for more players to enjoy the initial start. As the game progresses additional features can be added to make the game a little more difficult. Giving players options of where to spend their currency gives them something to compare, allowing them to work out what leads to the best return. Overall an idle game’s difficulty is never too difficult as it is often a light and enjoyable game that can be played any time. Players enjoy receiving rewards while playing idle games, or even receiving the feeling of a reward that they get from playing. Therefore rewarding the player from the beginning is very important and continued rewards as the game progresses, with little input from the player, is also very important. This feeling can come from buying a new product or a new upgrade that make a big impact to the idle accumulation of currency. Not having to play. One of the most interesting things about making a good Idle game is that it has to be fun while not playing the game. If the idle game is setup so the player must be present a lot of the time in order for the game to progress, the idle game isn’t serving in this area. Therefore having a strong game design for when the game isn’t being played is very important. This means that when the player comes back they are rewarded with lots of currency to spend and to enjoy. Rewarding you for coming back. 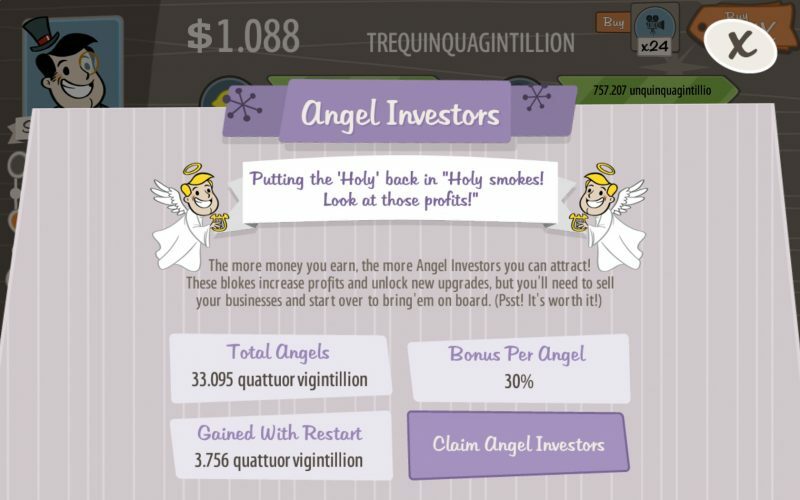 A great idle game will continue to generate game currency while you are not playing, so that when you come back it feels very rewarding. 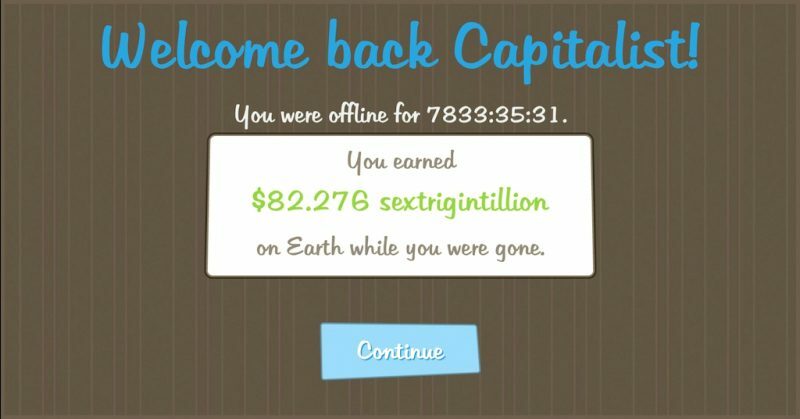 Getting a large amount of currency when you return is a reward in itself and feels like an achievement that can be used to generate future rewards too. Mechanics that make you want to play. Although it is important to have strong idle game design, an idle game also need to make, the time the player does play, fun too. This can be in the form of upgrade, improvements, etc. Without this a player will return, spend all the currency in a couple of moments and will be finished, if this loop is too short the player will unlikely keep coming back. Therefore a good return from playing and not playing is important. Elements of interactivity. One of the ways that an idle game can be improved is by having a fun element of interactivity to the game too. After upgrading, purchasing and improving the idle machine, it can be fun to interact with the game, often this is via the click mechanic, but any mechanics that help the player interact with the game can help improve the game. Meaningful choice, when it comes to optimisations. When it comes to making upgrades and optimisations to the idle game, you want there to be a number of choices that improve the game. If the upgrades are the same every time or it is very obvious what will get you the best return for your investment, the game can become boring. Game restarts. Often this isn’t always the most desired feature in an Idle game, but often the more developed and advanced idle games include a game restart or reset. At this time the player gets a huge boost to the initial game loop and a sense of achievement and reward is started again. This is because that the further down an Idle game you go, the higher the potential there is for diminishing returns on upgrades and improvements, therefore the player can loose excitement and joy as the game matures. A game restart can freshen the game again, and give a boost to the player once more. When a restart occurs there must be a mechanic which is a large benefit for the sacrifice in both click and idle currency creation. Sometimes this comes in the form of a percentage increase in production or an overweighted click mechanic. What was the first idle game? Here is a list of the best Mobile Idle games. These have been chosen because of there success over time and by how many players play and enjoy these games. 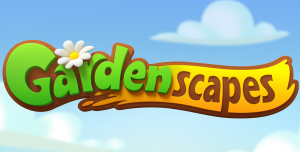 Many of the best mobile idle games can also be played online in a different format. Here is a list of some of the best Idle games for PC or Mac. These are collated from the gaming community, if you feel there should be a game added to the list please include it in the comments below and your reason why. The games are also not in any particular order. Reddit has an ultimate list of incremental games or Idle Games. This is one of the greatest lists out there, detailing the game, who made it, their style and a link to the game itself. Reddit user u/techtechor also created a List of Incremental Games by Archetype which you might also find useful for your browsing. The following video from Game Soup is a really good idle game analysis and includes some of the best idle game mechanics. Also what is your favourite Idle Game?